If you're considering a career in psychology, you may be wondering how much money psychologists earn each year and what the work hours are like. Salaries and schedules in this field vary widely depending upon educational level, specialty area, and years of experience. Some individuals working in the field of psychology earn around $30,000 a year, while others earn six-figure salaries. Psychologists who work in schools or the government usually have full-time schedules during normal business hours, Monday through Friday. Those who work in hospitals or other healthcare facilities may have evening and weekend hours. And psychologists in private practice typically have the option to set their own hours. The following are some of the median annual salaries for different psychology jobs as of 2016, according to the Bureau of Labor Statistics. While wages vary considerably based on specialty area and employment sector, you can learn more about salary averages from information provided in the Occupational Outlook Handbook. These estimates reflect averages across the entire U.S., so there will be considerable variation within each specialty area and geographic region. While salary should never be your only consideration when choosing a career, looking at pay estimates can give you a better idea of what you might expect to find in different professions. Also, be sure to note that years of experience also play a critical role in determining yearly salaries. New graduates just entering the field may expect to encounter lower starting salaries while more experienced professionals may be able to command much higher salaries. The areas of clinical, counseling and school psychology represent three of the largest employment areas within psychology. 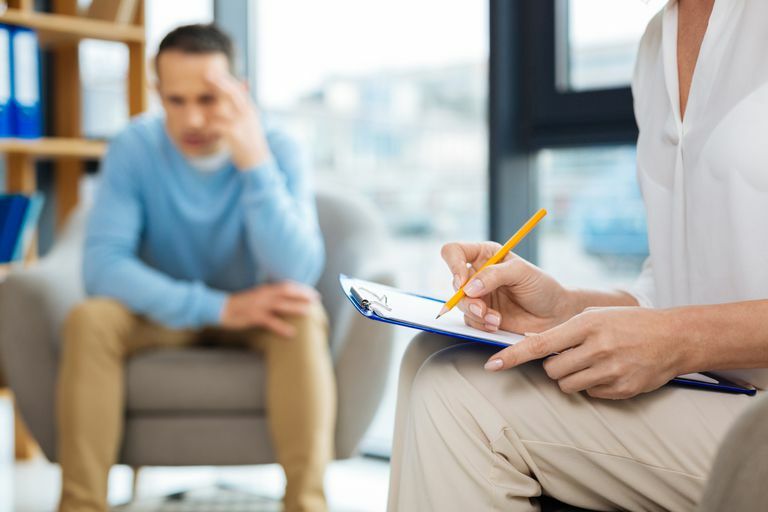 Professionals who work in these parts of the field diagnose and treat behavioral and emotional problems, learning disabilities, and mental disorders using individual, group, and family therapies. They may also design and implement programs that help with behavioral issues in children. As of May 2016, the median annual salary for clinical, counseling, and school psychologists was $73,270 per year, according to the Bureau of Labor Statistics. The lowest 10 percent of workers earned less than $41,890, and the highest 10 percent earned more than $121,610. Industrial-organizational psychology is one of the fastest growing specialty areas, with an expected 19 percent increase in jobs through the year 2024. While job growth is expected in this industry, it is important to note that this is a relatively small profession and the U.S. Department of Labor suggests that this number actually translates to an increase in approximately 400 jobs over the next decade. Industrial-organizational psychologists apply the principles of psychology to problems in administration, human resources, management, marketing, and sales. They may work on policies; help with employee selection, training, and development; and optimize work settings to improve employee productivity. As of May 2016, the mean annual earnings of industrial-organizational psychologists were $104,570 with a median annual wage of $82,760. Bureau of Labor Statistics, U.S. Department of Labor, Occupational Employment Wages, 2016. Clinical, Counseling, and School Psychologists. Bureau of Labor Statistics, U.S. Department of Labor, Occupational Employment Wages, 2016. Industrial-Organizational Psychologists.